Writing has been a lifelong endeavor for Patterson beginning with her first essay when she was nine years old. With encouragement from her parents, the path for her life became clear and she pursued her love of the written word in many ways. Fresh out of Marquette University with a degree in communications, she joined the National Safety Council in Chicago as an assistant editor which gave her an initial taste of professional writing. She went on to work as the editor for the National Eye Research Foundation, technical writer for Blue Cross Blue Shield, director of communications for Pricewaterhouse Coopers in Columbus, Ohio, and director for marketing and public relations for Adena Medical Center, Chillicothe, Ohio. She developed her professional writing career by building a diversified portfolio in a wide range of fields and industries, including accounting, architecture, construction, education, health care, information technology, real estate, professional practice management and small business. 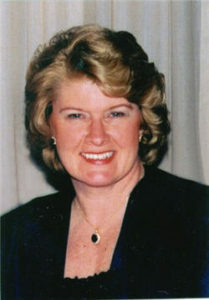 Patterson has authored or contributed to nine books including a tribute to her parents with the release of ALLIES FOREVER: THE LIFE AND TIMES OF AN AMERICAN PRISONER OF WAR. It is a long awaited memoir of her father, a B-24 pilot, who was shot down Christmas Day, 1944, and taken prisoner by the Germans. This was only one major hurdle that her parents had to endure during their half century together. Her book, HERBS FOR ALL SEASONS, launched her career as a syndicated columnist for the Gannett and Thompson newspapers focusing primarily on herbs and gardening, which led to the completion of her Master Gardener certification. She incorporated her avocation into an opportunity to share her experiences with her readers. Her latest book, EATING YOUR WAY ACROSS OHIO: 101 MUST PLACES TO EAT, was an adventure that took her over 7000 miles through Ohio where she reviewed 160 eateries of all types. From her evaluations, she chose 101 of the best that met her criteria of good food, great atmosphere, convenient location and reasonable entree prices. She presents this research in EATING YOUR WAY ACROSS OHIO to help guide hungry travellers in their quest for a good meal. As a world traveller herself, she has enjoyed excellent cuisine in Israel, Kenya, England, the Caribbean and Central American which she has shared in her articles. Her work has earned her recognition through a number of awards including the National Publishers Award, Writer’s Digest Award for Merit, the Apex Award for Publication Excellence, the Great Lakes Communicators Award, and the Graduate Nonfiction Award from Kansas State University. As the host of a Christian radio program on WCVO (104.9 FM) in Columbus, Ohio, she met and interviewed many accomplished writers and experts in health, nutrition and family issues. But after seven years, she left radio to pursue a career in teaching in central Ohio colleges and universities. She completed her Masters degree in Fine Arts (MFA) at Spalding University specializing in creative nonfiction writing, and also completed and Education Specialist Degree (EdS) in Cirriculum Design and Instruction.. As a dedicated instructor of writing, journalism and communications at Ohio University, she not only enjoys working with her students, who range in age from 16 to 76, but also the opportunity to tap into their natural creativity and encourage them to explore the world of the written word.